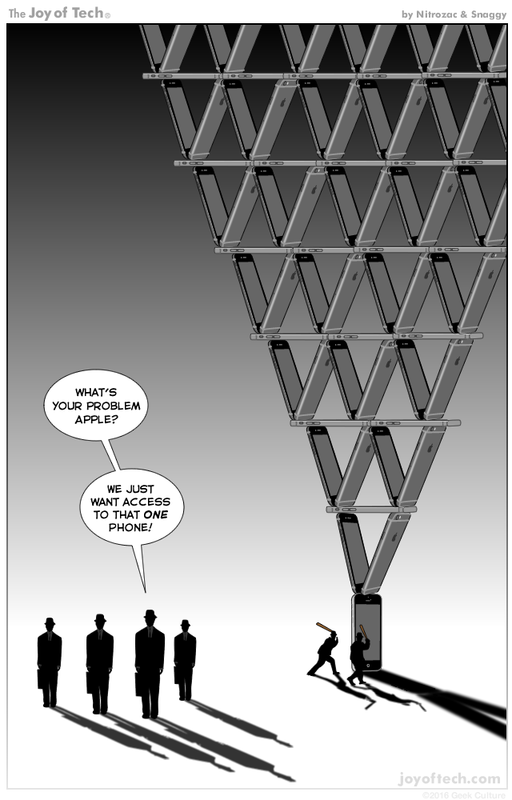 The Joy of Tech comic... A house of iPhones! Who would you trust to look at the contents of your phone? The government, Apple (or other manufacturer), Google, App developers, and me. The government, Apple, and me. Apple and me, that's it. Just me, thank you very much. Heck, I don't even trust myself sometimes!